Released on Monday 30th September 2013. 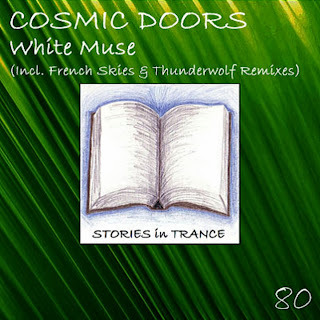 Stories In Trance continues to showcase the very best that trance has to offer, and here we proudly present our 80th release, this time brought to us by Cosmic Doors with the three track single White Muse. As is customary, we start with the Original. Cosmic Doors - Italians Alexander One (Petrone Carmelo) and Davide Battista (Gabriele Stefanini)- make their long awaited follow up to their first original with us, the unforgettable Oblique (SIT #33). 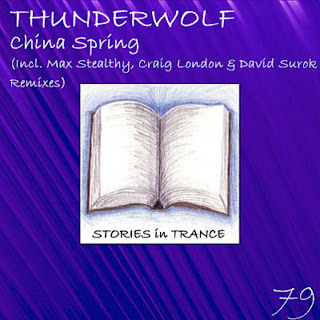 They have made several outstanding appearances for Stories In Trance, most recently their brilliant remix of Thunderwolf’s We Love Trance (SIT #77). Once again they are on top form serving up this superb track. Power, pace and energy added to a big room lead come together in a production of the highest quality. Nothing less than brilliant; as one would expect from such a talented duo. The first remix comes from Frenchman Jonathan Araldi under his now familiar French Skies alias. 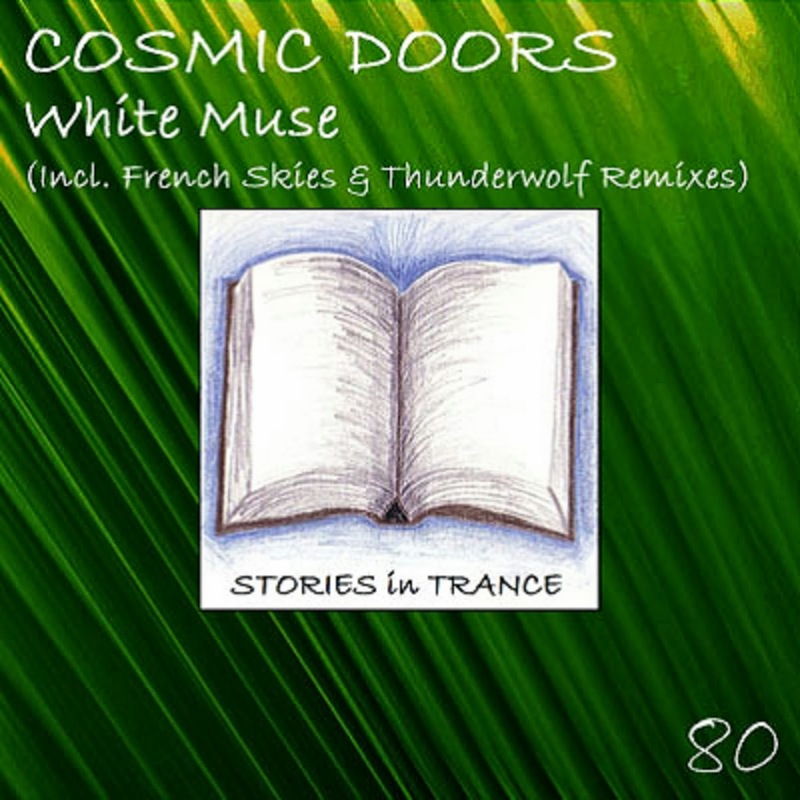 After his debut on Stories In Trance in the shape of The Wings Of A Dream (SIT #58) he has contributed several fine remixes, the most recent being his two contrasting versions of Thunderwolf’s This Is Our Life (SIT #75). This powerful adaptation features the subtly tweaked lead melody whilst expertly weaving in additional aspects from the original’s texture to create a pure, energetic interpretation with a feel of its own. This is a perfect illustration of what to expect from French Skies and why we are delighted to continue our association with him on Stories In Trance. The final version comes from Thunderwolf with his first official remix. Taiwanese newcomer Thunderwolf (Tseng Chih Young) recently made his bow on SIT with three immense originals, the most recent of those been the seminal China Spring (SIT #79). This time he turns his talents toward a remix and the outcome is impressive. Excellent layering, fantastic production techniques and a creative use of the lead melody all make this a memorable and standout production. Look out for plenty more from this very exciting producer on Stories In Trance in the future. Released on Monday 16th September 2013. This is Stories In Trance, and we present to you our 79th release. For your consideration, here is Thunderwolf with China Spring. As usual, first up is the original. 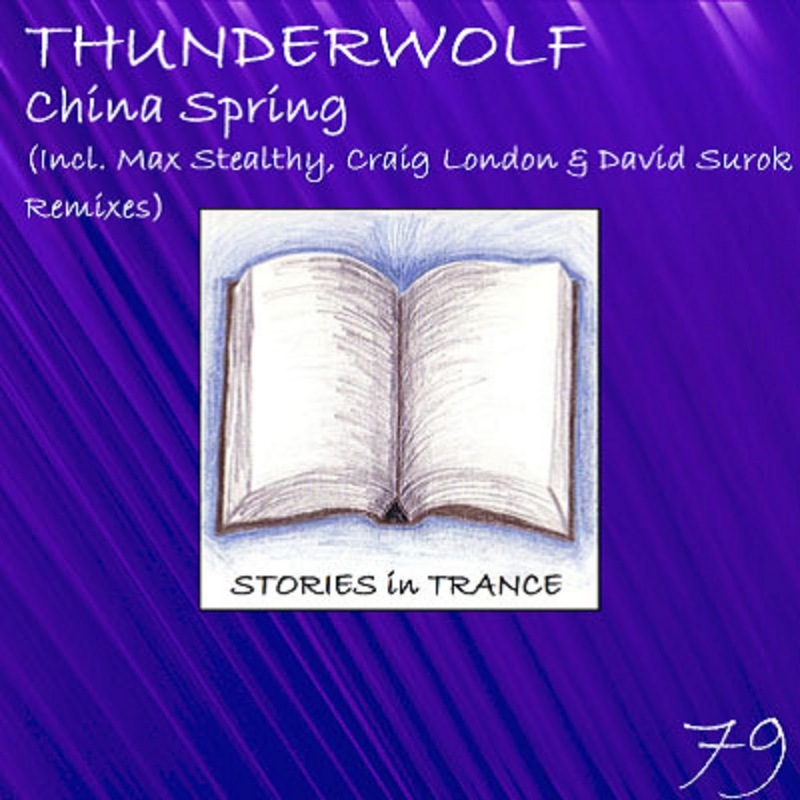 Stories In Trance is committed to showcasing the very best trance from all over the globe, and this time it's the third outing for Taiwanese newcomer Thunderwolf (Tseng Chih Young) who made a fantastic debut with SIT 75’s This Is Our Life and followed that with We Love Trance (SIT #77). This time he infuses beautiful musical elements associated with his homeland and gives us a truly unique and bespoke track. Excellent layering, fantastic production technique and a brilliant lead melody all make this a memorable and standout production, China Spring is an absolute must have for all trance fans and DJ's alike. Look out for plenty more from this very exciting producer on Stories In Trance in the future. Up second we have Max Stealthy's version. Max has an extensive list of tracks and remixes with us, most recently his fine remix of Simza's Ann (SIT #74) and his double A-Sided single Flyin Red / Time To Cry (SIT #67). Max has built up a potent reputation for himself with his consistent production prowess and once again he serves up a truly brilliant track, expertly crafted with a great lead melody backed with fantastic effects, depth and mids. Max's production technique continues to go from strength to strength showing yet more innovation and imagination. A great remix to add to his fantastic discography. The next remix comes from Englishman Craig London. Craig's career to date has seen him make an immense arrival on Stories In Trance with his epic remix of Sakiva’s Hammer (SIT #63) and most recently his fantastic remix of Simza’s Ann (SIT #74). Expertly adapting the lead into an uplifting and energetic version of the original, this has all the qualities to be a major success. Craig perfectly shows his undoubted talents with this remix and why we should all keep an eye on this very promising producer in the future. The final part of this package comes from David Surok. David is back with his first offering since his double A-Sided single Breeze / Tornado (SIT #71) and it's more of the quality we have now come to expect from him. Presented here is an energetic and uplifting trancer; the unique lead melody used to perfection with subtle yet effective touches, which all added together with the beautiful feel of the piece make a seriously fine remix. A sublime and delightful track to savour from a very talented and quickly emerging force on Stories In Trance. Released on Monday 9th September 2013. Stories In Trance present SIT 78 by Jens Jakob with the three track single Euphorica. Jens Jakob makes his debut with us but to date has an extensive production career spanning tracks and remixes on labels such as Beyond Recordings, Undervise, Dirt, Lies & Audio Recordings, TFB, Muziek Colours, Mixtunes, Tohoku Recordings, OSS, Spaced Out Recordings and Nu Communicate. Jens gives us a truly fine track with a brilliant lead melody, backed up with powerful and energetic mids and potent low end drive. A fantastic slice of pure trance that takes its place alongside some of the best of 2013 to date. The first remix comes from Stories In Trance legend Derrick Meyer who brings his distinct style to craft this superb version. Being one of the USA's best uplifting trance producers, Derrick's back catalogue with us is vast and equally great with his last remix of Heavenly Delight (SIT #73) being a perfect illustration of his exceptional talent. Once again he delivers the goods adding his usual production excellence to the unmistakable melodic dynamics and expertly polished layering - something ever present and always greatly impressive in Derrick's work, which all amount to a brilliant and truly bespoke track. The third version comes in the shape of another debut and it's with great pride we are pleased to offer Michele Cecchi's remix. We have been big fans of Michele's work for some time so we were delighted to get him on board with us. His production career to date spans appearances on labels Trance All Stars, Bonzai, Nile Tunes Recordings, Linger, Diverted and his longstanding involvement with the Neuroscience and E Musica stable. With this awesome remix he shows why he is so highly regarded within the trance scene. Great use of the lead backed up with all the production class you would expect from a producer of this pedigree. An immense remix and the perfect way to round out another release we at Stories In Trance are proud to offer up.